Both of our courses are 18 holes and feature full-service pro shops, PGA- and LPGA-certified instructors, cart and equipment rentals – and, of course, our signature stunning boulder formations, striking sunsets and natural terrain. The Boulders Club, a semi - private country club for club members and resort guests, features a 6,811-yard, par 72 championship North Course and a 6,726-yard, par 71 championship South Course, both designed by Jay Morrish. The Boulders is world renowned as one of the finest golf resorts in the western United States. The courses are considered the most demanding in the Southwest, and are known for their rugged beauty. The course offers 36 challenging holes, golf pro shop, fitness center, restaurant, and a residential home development. The North course, the older of the two courses, features spectacular views of Black Mountain as the course meanders through the Boulders community. Both courses are built right into the desert foothills and offer breathtaking panoramas - including stunning boulder formations, striking Sonoran Desert sunsets and natural desert terrain. Keep your eyes open because desert wildlife is often visible during play. Every day, golfers are surprised to see a bobcat, rabbits, coyotes or a javelina while hunting for a wayward shot. In short your experience should be a scenic and natural wonder. The South course provides its players with much of the same experience they would find on the North course. The scenic views and desert beauty continue - with even more locations for the perfect KODAK moment. While the North course is the original offering from the resort, many people believe that the South course is the most scenic. In fact it has holes that go right up into the boulder formations. During your round you will encounter the signature "Boulder Pile" and also "Rosie's Rock", two of the resort's most recognizable rock formations. The Sonoran Desert inspires the concept of The Boulders’ adobe Casitas, Executive Suites, Villas, Haciendas and The Villa Retreat, which are each uniquely designed with elegant Southwestern décor and feature luxurious amenities like wood-burning fireplaces, beamed ceilings and natural stone showers. What’s more, our Villas and Haciendas are stand-alone residences, perfect for family vacations – or when you just need a little more room to stretch out in luxury. Our Casitas are 550 sq. ft. units set amid the natural Sonoran Desert terrain and ancient boulder formations. Our Executive Suite is a Casita with a conference table large enough to seat six, making it a perfect home base for corporate functions. Villas are one, two and three-bedroom residences that expertly combine the comforts of home with all the indulgences of an exclusive resort. Our two and three-bedroom Haciendas offer unparalleled luxury with designer kitchens, Isokern fireplaces, spacious floor plans and much more. Haciendas range from 3000-3200 sq. ft. The luxurious Villa Retreat is a spacious Bali-influenced five-bedroom retreat complete with an elevator, two full kitchens, a sparkling pool and more. Create a memorable Sonoran Desert experience at The Boulders. The award-winning golf and tennis resort offers the indulgent Waldorf Astoria Spa at The Boulders Resort, fine dining and thrilling outdoor adventure. Escape to The Boulders and be enticed by invigorating recreation and tranquil relaxation. Play challenging golf on two championship courses ranked among the ‘Top 100 Courses in the U.S.’ by Golf Magazine. 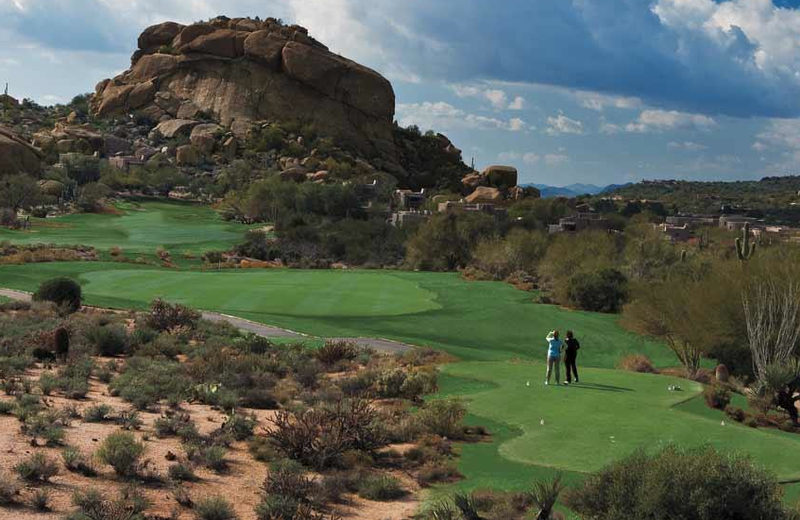 Tee off on courses surrounded by Arizona’s stunning Sonoran Desert. Tennis Magazine ranks The Boulders one of the ‘Top 50 Tennis Resorts in America.’ Play invigorating matches in the terraced tennis garden. 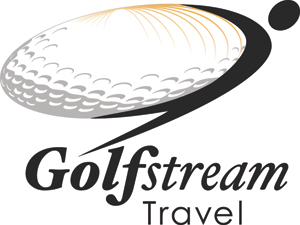 Enroll in a clinic or private lessons with professional golf or tennis instructors and take home improved techniques. Savor innovative American, Mediterranean and Southwest cuisine in fine restaurants featuring panoramic views of the desert and golf courses. Be tempted to try creative specialties featuring ingredients grown in the resort’s organic garden. Enjoy spa cuisine and traditional club dishes. Indulge in proven therapies and services at the renowned Waldorf Astoria Spa at The Boulders Resort. The spa offers treatments such as facials and body wraps infused with ingredients harvested from the desert. Traditional massage therapies and innovative, unique experiences inspired by the culture of the desert Southwest are also offered. Explore the Sonoran Desert while rock climbing, horseback riding or mountain biking. Take an exhilarating jeep tour, hot air balloon flight or cattle drive ride. Gaze at the stars or a gorgeous desert sunset. Shop in charming boutiques offering designer apparel and merchandise, browse art galleries and enjoy an outdoor concert at El Pedregal Festival Marketplace. Achieve rejuvenation and restoration with luxurious spa services and treatments, as well as unique experiences, at the Waldorf Astoria Spa at The Boulders Resort. Exercise in the fitness center or Movement Studio. Two award-winning golf courses, designed by renowned golf course architect Jay Morrish, provide challenging play on links surrounded by the vivid Sonoran Desert. Explore enticing recreation and activities at The Boulders. Shop in charming boutiques, become an outdoor desert adventurer or play tennis in a unique terraced garden. The Boulders entices with resort recreation surrounded by the beautiful Arizona desert. Maintain an exercise routine in the modern fitness center or diversify it with yoga, Tai Chi or Pilates classes. The fine restaurants at The Boulders entice diners with innovative menus featuring American, Mediterranean and Southwest cuisine, as well as classic spa and club dishes. Enjoy Southwestern and American cuisine at casual Palo Verde. The enticing dinner menu offers a range of signature Southwestern dishes. Head to The Grill Restaurant and Bar at the Clubhouse for commanding views of the golf course. Have a hearty breakfast before a round of golf or take a break mid-day for a sandwich. In the evening, enjoy dinner or have a drink at the bar. Spa indulgence continues with light and healthful dishes served at the Spa Café. Sip an herbal tea or enjoy vegetarian or gluten-free dishes. Sip a favorite cocktail at the Discovery Lounge. Spend a relaxing evening in front of the fireplace, listening to jazz and gazing at the vivid Arizona sunset. 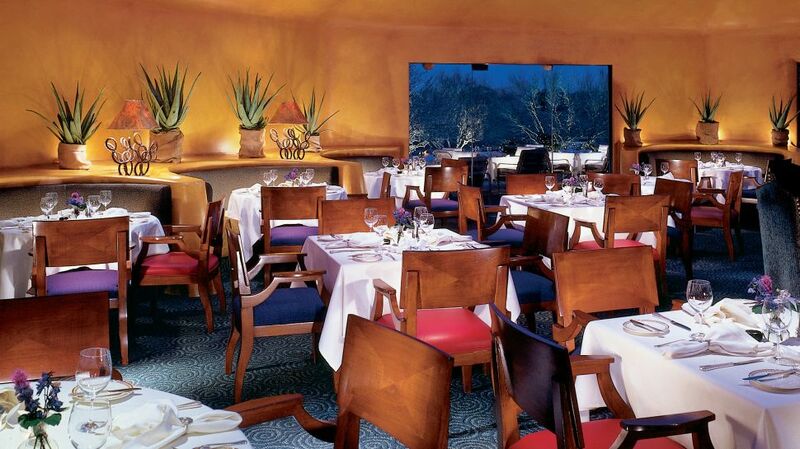 Make dining part of the itinerary on a visit to el Pedregal at The Boulders, adjacent to the resort. The Bakery Café serves freshly baked breads and pastries, sandwiches and salads. Replenish during a shopping spree with a Southwest-Mexican feast, and maybe a margarita, at The Spotted Donkey Cantina. Escape to the natural splendor of The Boulders, a beautiful secluded destination with unsurpassed amenities and understated elegance. A luxurious spa, championship golf, and pampering service await you in a breathtaking setting tucked into 1,300 acres of the Sonoran Desert foothills of Scottsdale, Arizona, where the awe-inspiring views and 12-million-year-old boulder formations create the perfect backdrop for vacations, meetings, weddings and other special events. Known for our environmentally sound landscaping, we’ve ensured that the surrounding terrain and plant life have been left virtually untouched, allowing indigenous flora and fauna to thrive. In acknowledgment of our eco-friendly design and everyday practices (like using green-seal approved cleaning products and CFL bulbs resort-wide), The Boulders has been awarded the Urban Land Institute's Environmental Award of Excellence and the Valley Forward Association's Crescordia Award of Environmental Excellence. But while our comfortable accommodations, unequalled natural beauty, and indulgent atmosphere certainly rejuvenate the soul, we also have plenty of invigorating onsite recreational activities, including tennis, swimming, hiking and rock climbing. In addition, our dining establishments offer captivating views from every turn in a variety of atmospheres. And we’re always looking for ways to make the guest experience even more special – which is why we’re pleased to be a uniquely pet-friendly resort.